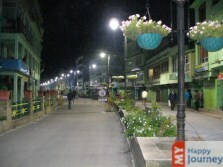 Pick up point will be Gangtok, the capital of Sikkim. On arrival, check in the hotel and freshen up. Spend evening at leisure and enjoy dinner and overnight stay in the hotel. 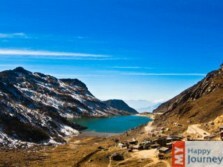 Spend full day visiting famous places of Gangtok. 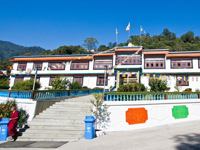 Start your tour with Rumtek Monastery, Santi Viewpoint and Botanical Gardens. 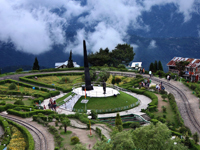 Also visit Dod Url Garden, Sikkim Research Institute of Tibetology, Orchid House Flower Show and Government Institute of Cottage Industry in the afternoon. After lunch, you can visit Ganesh Tok, Bakthang Falls and Tashi View Point. Spend rest of the day at leisure. Enjoy overnight stay in the hotel. After early breakfast, visit Tsomgo Lake, situated at a high altitude on Indo-China Border. 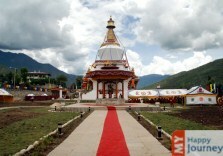 You can enjoy other activities like Yak riding, playing with snow and then drive to Baba Harbhajan Singh Mandir. Drive back to the hotel for lunch. 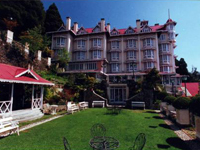 Spend afternoon at leisure and enjoy overnight stay in Gangtok. 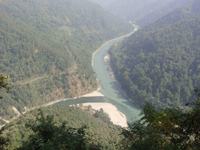 Our representative will drop you at the Bagdogra airport/ railway station for return journey.